“I believe the future of microtia reconstruction lies in tissue engineering not alloplastic techniques. Plastic ears have significant drawbacks that living tissue, autogenous or in the future, engineered tissue do not. The significant benefit of engineered tissue in microtia will be the reduction of surgery required to complete the process," said Dr. Jones. To date Dr. Jones expertise has led him to develop several improvements to the sculpted rib graft technique. These include the ICG (Integrated Cartilage Graft), the WAE (Wrap¬¬-Around Ear), JE (Juxaposition Ear), and the BE (Bespoke Ear). Each of these specialized techniques was developed by Dr. Jones to address certain reconstruction issues and positively impact his young patients’ quality of life. 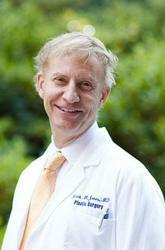 Dr. Mark Mitchell Jones of Atlanta Plastic Surgery Specialists is located at 2001 Peachtree St. N.E. Suite 630, Atlanta, GA 30309. He can be reached at 404-355-3566 or online at http://www.atlantaear.com/.